Melissa Keil is one of the best new voices in Australian YA fiction. Her wonderful contemporary rom-coms are always populated with a brilliant cast of well-drawn characters, and The Secret Science of Magic is no exception. The two teenagers at the heart of Keil’s third novel are Joshua, an amateur illusionist who taught himself magic to help manage crippling social anxiety, and Sophia, a maths genius with an eidetic memory and a terrible fear of burning out and disappointing everyone around her (not least herself). As the end of high school looms, Sophia’s panic attacks increase, exacerbated by her best friend’s impending departure, an ill-advised enrolment in drama class, and sudden occurrences of unexplained phenomena that seem, well, to be somehow centred around her. The person responsible for the phenomena is – of course – Joshua, who has loved Sophia from a distance for over five years and recently decided to make a long, complicated, elaborate play for her heart. A play that involves exploding roses and trick coins, and definitely has absolutely nothing to do with avoiding the big question of what he’s going to do after he finishes Year 12. 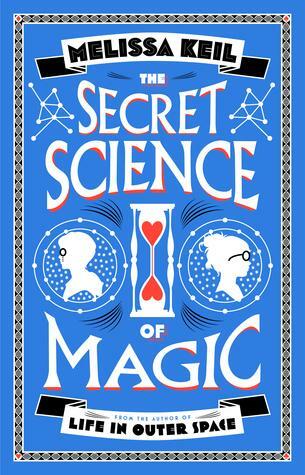 Like her previous novels, Keil’s The Secret Science of Magic is a book with a lot of heart that deals with complex questions of love, identity, friendship and family in a sympathetic and realistic manner. Sophia is a fantastic character, and her first-person narrative reminded me how refreshing it is to read a story from the perspective of a female character who is almost certainly on the autism spectrum. Sophia’s observations of the world around her are unexpectedly witty, and her pragmatic view of the world contrasts beautifully with Joshua’s empathetic and romantic nature. If you’re looking for a sweet, sparkling YA novel with hidden depths and one of the sexiest first kisses I’ve read, then this is the one for you.